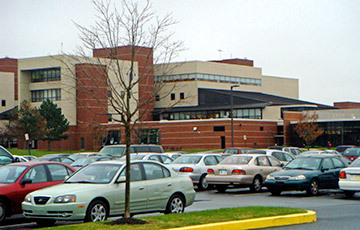 Hanover Engineering was retained by the Northampton Community College (NCC) to assist with the design and permitting of all associated site improvements required for the construction of a new approximately 43,000-square foot Student Activity Center located on their Main (South) Campus in Bethlehem Township, Northampton County. Site improvements included a new low volume driveway accessed from Green Pond Road, a 236-space parking lot, a detention basin and associated stormwater facilities, a soccer field, a relocated softball field, and new and relocated site utilities. In conjunction with this project, Hanover Engineering also assisted NCC with the design and permitting of roadway widening and improvements along Hecktown Road and Green Pond Road, both of which are State roads. These traffic upgrades were required by Bethlehem Township and PennDOT prior to the completion of the new Student Activity Center. Both roads were widened and new curb, sidewalk, and street trees installed along the College’s frontage. In addition, a traffic signal was installed and appropriate improvements completed at the intersection of Hecktown Road and Green Pond Road.